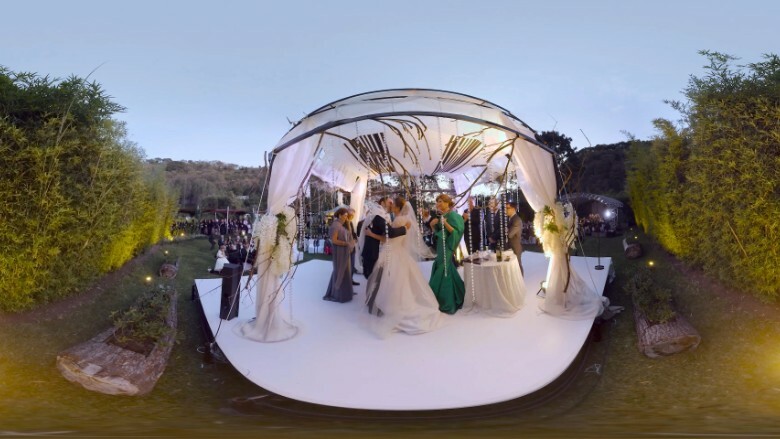 A marriage ceremony, as captured in virtual reality. Technology has always played a key role in their relationship. When Daniel spotted Ilana on Tinder nearly two years ago -- and she didn't return his "swipe right" -- he was able to track her down after remembering they once met at a friend's wedding. He ultimately got her phone number and asked her out. A VR headset can transport a user to virtual worlds, from outerspace to, now, weddings. 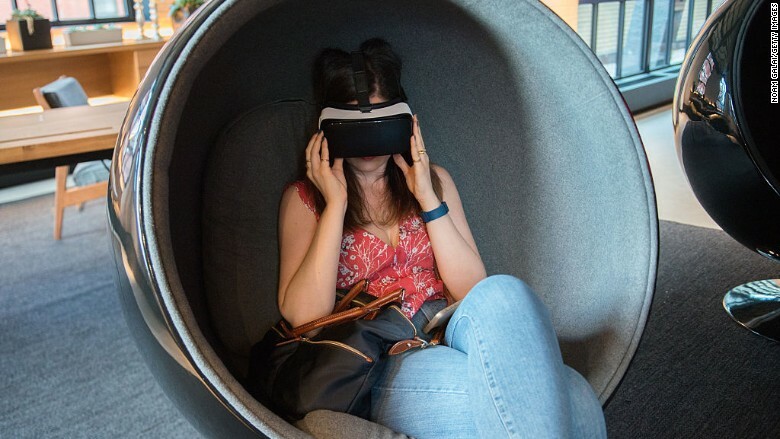 "The ability to capture personal moments in VR is a trend that has been growing exponentially, particularly as 360 cameras are becoming mainstream," YouVisit cofounder Abi Mandelbaum told CNNMoney. "As a fully immersive medium, VR has the ability to completely shift how we tell stories, both on a corporate level through business marketing but also a personal and social level." YouVisit has produced more than 1,000 interactive VR experiences, from music festivals and theater performances to athletic and corporate events. While filming a custom VR experience is costly -- a YouVisit package starts at $10,000 -- the company offers free access to its platform called Experience Builder, which allows users to create their own VR experiences by uploading 360-degree videos and photos. The overall process for developing Daniel and Ilana's wedding VR experience, from conceptualizing to final editing, took about 2 to 3 months. The couple has since shown it to friends and family members who weren't able to make it to the destination wedding. The pair also hopes to show it to their children one day. 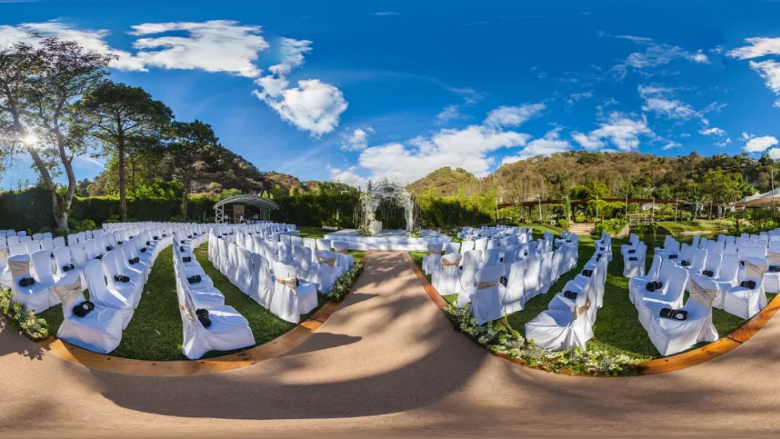 The wedding venue, as seen in virtual reality. VR isn't the only creative use of technology that couples are using to get unique wedding footage -- some have even hired drones to take aerial footage of the grounds or snuck a GoPro (GPRO) into a bouquet for an intimate angle of a bride's walk down the aisle. 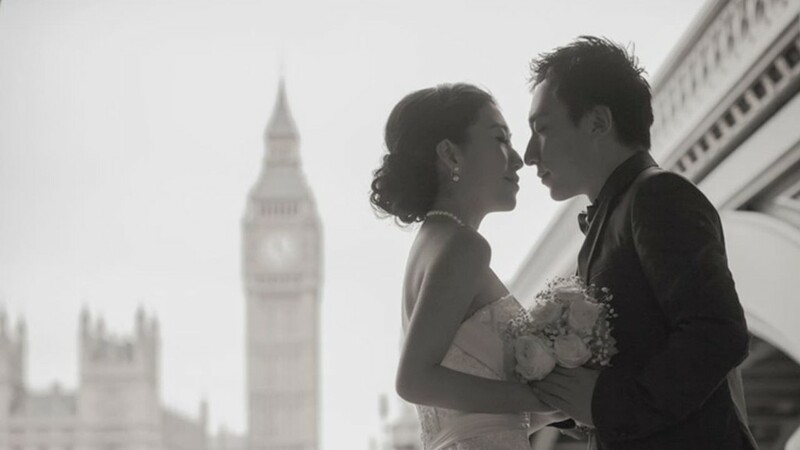 Technology is helping couples cut down on overall wedding costs, too. For example, Bloomerent allows couples to share floral arrangements with others getting married nearby, which cuts down on cost, considering about 10% of the average wedding budget is spent on flowers used only for a few hours. 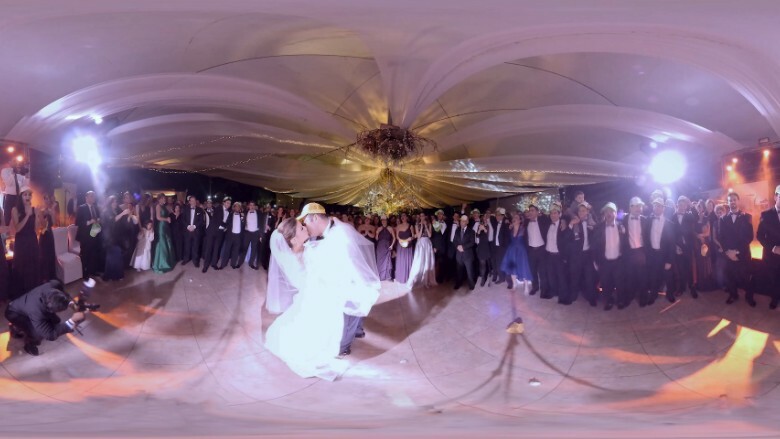 The couple dances while being surrounded by 360-degree cameras. "The takeaway for us was not so much to be leveraging innovative technology, but to be able to capture this magical day in Guatemala and to go back and visit whenever we want."